Amazon's Black Friday offerings include some solid HDTV deals, but overall a lot of promotions we've seen elsewhere. Amazon has finally sent around a press release teasing its upcoming Black Friday Sale. Starting on Sunday, November 24 (that's a whole day earlier than last year), Amazon will post a new deal every 10 minutes for eight days straight. That's a lot of deals. We've already looked over the (relatively) small selection of deals that were included in the announcement to see what you should keep an eye out for and pounce on immediately, and the filler deals you should skip. 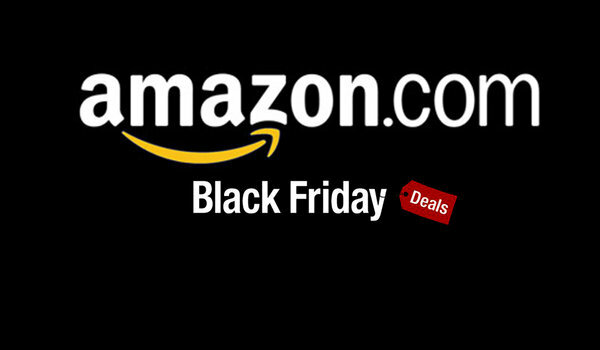 We're betting that Amazon will offer even better deals as Black Friday draws nearer. After all, why give away all the surprises early? Last year Amazon offered a similar $97 32" 720p HDTV Lightning Deal that lasted mere minutes. We're glad the mega retailer offering another go at this rock-bottom low price. In fact, the second-lowest deal for a similar TV was $30 more! In our Black Friday TV predictions, we prognosticated a 1080p set for $179. Even though this one is 720p, this is a super deal. Along with an Element 50" 1080p LED HDTV for $229 at Target, this 50" TV is poised to break all records and be tied for the title of cheapest 50" HDTV we've ever seen. It even beats our previous Editors' Choice TV for this size category by $150. Although we predicted 60" LCD HDTVs would be priced much lower ($599 to be precise), this television is currently tied with the Vizio E-Series 60" 120Hz 1080p Razor LED Smart HDTV at Walmart for the best price we're seeing for a 60" HDTV this Black Friday. It's also $11 under the best price for a 60" HDTV we've listed this year. If you're looking for a giant TV, this Samsung almost seems like a reasonable price to pay. Until you consider that Walmart will offer the Vizio E701i-A3E 70" 120Hz 1080p Smart LED HDTV for $998. A 70" Vizio HDTV for under a grand is unheard of; the next cheapest price was $1,371 back in February. The Vizio, not the Samsung, is your Black Friday doorbuster TV. With a $35 sticker price, we didn't expect there to be any deals on this device because it's already so affordable. Yet here we are, with both Amazon and Best Buy offering it for $5 off. At $20 less than an entry level Roku, it's the cheapest way to get streaming content to your TV. The quality of this deal really depends on how much "under $400" Amazon is talking. So far, we've seen several merchants offering this camera for $400 on Black Friday — several of them even throw in an bundled item like a free SD card or carrying bag. The more "under $X" it is, the better deal it becomes. Remember that when you add this SLR to your cart. Not only is Best Buy offering the Jambox for the same price, but neither are the lowest total prices we've seen. We listed this same unit several times this year for $90. With availability on Sprint, Verizon, and AT&T, not only does this deal come with more carriers options than Sam's Club's mention, but it's also the lowest total price we've seen by a full buck. Though this offer meets our Black Friday expectation of seeing previous-gen console holiday bundles priced 33% to 37% off, Best Buy has this bundle and it throws in Batman: Arkham City and Darksiders II. Of course, you have to wait on line for the Best Buy deal; with Amazon, you'll know it's sold out without having to leave your couch. So far, $199 is best Black Friday price for this bundle by a buck. However, the other deal is from Sam's Club: you've gotta be a member to score that one. Amazon has no such restrictions and will take anyone's money. In our predictions, we claimed that you'd see these and other popular titles for as little as $30. However, every merchants' Black Friday ads seem to be keeping the recent releases priced around $35. With that in mind, Amazon's sale might not be a bad deal to jump on if you're in the market for a newer game. Also keep in mind that video game deals tend to evaporate after Cyber Monday, so this could be a now-or-never situation. Probably the most anticipated game of the season, there's no reason for stores to discount it at all because customers are gonna buy it anyway! Yet Amazon, Walmart, and eBay all offer this game on sale for $40. This Amazon offering isn't the best Black Friday deal we could find; opt for the buy one, get one 70% off deal at Toys "R" Us instead. Pass up on this Amazon deal because the Swap Force characters are cheaper elsewhere, and because the best time to buy toys in mid-December. If Amazon means 50% off list price, then that's $65 ... which, up until this week would have been an amazing price for a LeapPad 2. However, in what was possibly the opening salvo of its annual Black Friday price wars, Walmart put this item on sale for $40 (since expired, but will again be available on Black Friday for $54.) Before now, seeing a LeapPad for $80 was considered a great deal, now, we'd advise you not to pull the trigger on one unless it's around $40. Thanks, price wars! Amazon is advertising price cuts of up to 53% off popular books, up to 63% off 8,000 popular movies and TV shows (including Dexter, Jack Reacher, and The Heat), up to 80% off over 440 movies and TV shows (presumably not popular ones, as those are receiving up to 63% off), and up to 60% off popular albums (including New by Paul McCartney, Blurred Lines by Robin Thicke and Blunderbuss by Jack White). While these are certainly impressive discounts, there is no indication of which titles are receiving what discounts, nor what the final prices are going to be. Still, Amazon has an impressive track record for discounting media during Black Friday (and throughout the holidays), so we're sure that you'll find at least a few gems in there. We've seen this coffee maker as low as $59, but the last time we saw it at that price was in February. Better still, it's available right now, at the time of writing, for $72 on Amazon. Amazon currently charges $20 for this doodad. Not a bad deal if you want to save 25% on it. We've seen Amazon offer greater discounts on coats (a selection of wool coats went on sale for 70% to 76% off earlier this month), but such broad sales seem to be few and far between. In fact, we've not seen Amazon offer a similar sale the rest of the year. Amongst the Black Friday ads that we've seen, it appears that $10 to $15 will be de rigueur for men's and women's sweaters. If Amazon's 65% sale includes a cozy top for more than $15 off, then it's a good deal. As part of its Black Friday sale, Sears is cutting a flat 60% off all women's sleepwear. On one hand, this Amazon sale will save you up to 60% off, but on the other hand, this offer also includes men's items. The solution: Shop Sears for women's PJs and Amazon for men's. Throughout the season, Amazon will be cutting 50% to 90% off select apps in its Appstore and offering many for free as well. The deals will include popular titles like Super Why!, Where's My Mickey, Monopoly, Angry Birds Star Wars II, NBA2K14, Wheel of Fortune, and OfficeSuite Pro, among others. Knowing this, you should put off buying these apps until they are on sale. For all other apps, unless it's a must-have download (though, what's must-have about Where's My Water 2? ), it might be worth waiting to see if a deal comes around. The apps will still be there in January. While Amazon also touts it's running a lot of "Black Friday Countdown Deals" in the days leading up to Black Friday there aren't many specifics available. Our advice is therefore not treat them all of them as super-hot deals. Watch DealNews and see which ones we post, because those will be the truly noteworthy ones. Another thing to be aware of is that Amazon's sale prices will only be available at select times and be active while supplies last. If past Black Fridays are any indication, most of the really good deals here are going to be the blink-and-you'll-miss it type. Stay alert, though, and you just might make off with a ridiculously cheap TV! Jeff Somogyi is the DealNews User Experience Researcher. Since working here he's written deals, features, promotional and newsletter copy, blog posts, as well as scripts for our videos. Follow him on Google+, Twitter at @sommerjam or his blog. Did anyone see any notable deals on Day 1? Do they have a deal in the 39-42 inch category for TV's that is worth looking at? ?